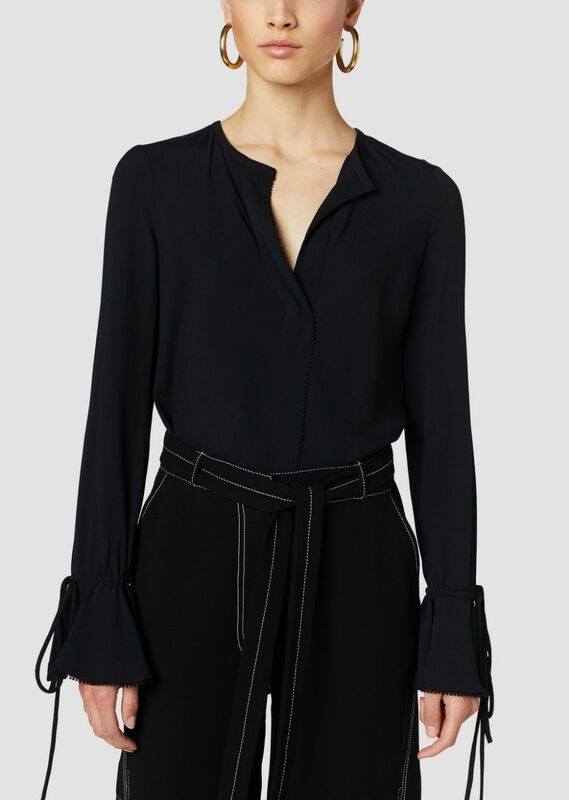 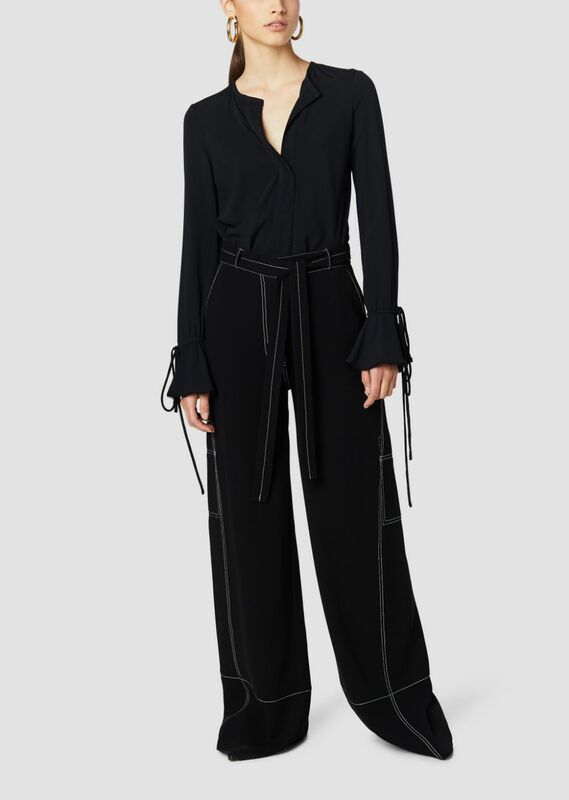 Fluid black crepe de chine split neck blouse with tied-off cuffs. 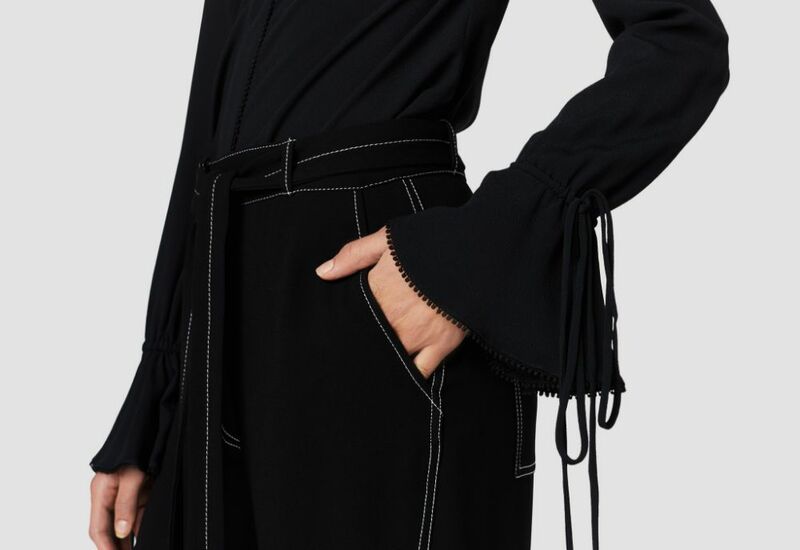 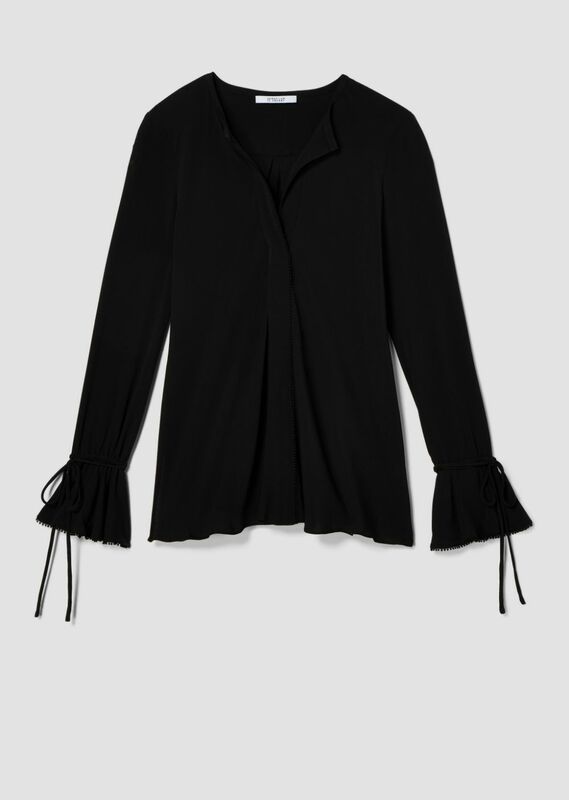 Long bell sleeves with micro-fringed cuffs. 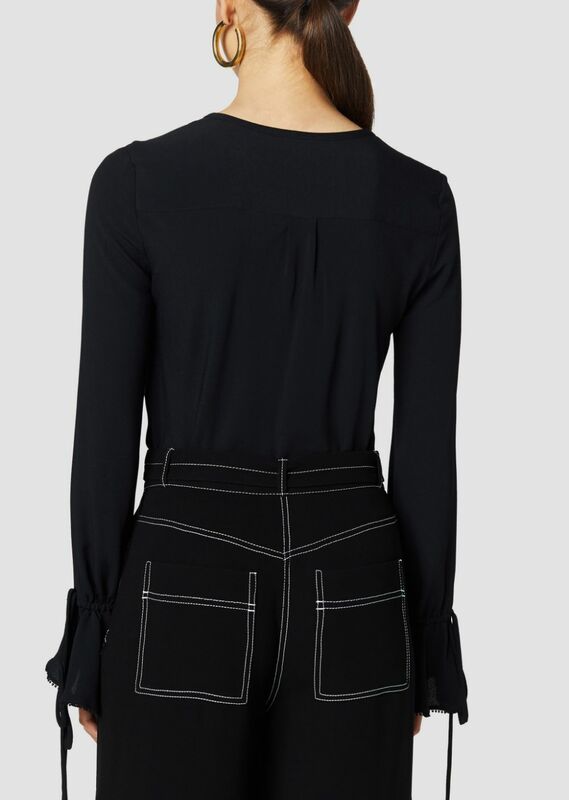 Topstitched belt loops.